The future of hospice is now as the new year brings new changes. Medical costs and reimbursements, including hospice reimbursement rates, have changed over the past fiscal year. Below are some of the changes to rates, reimbursement and other elements in the hospice care landscape of 2019. Hospice providers face a variety of challenges each year as they try to cover all patient care and non-patient care expenses with little reimbursement. The reimbursement must cover nursing time, pharmacy, durable medical equipment, medical supplies and all administrative costs including bereavement and chaplains. Knowing the changes of Medicare hospice reimbursement year to year helps to better prepare you for the year ahead. Below is a comparison of rates from Medicare Reimbursement rates for FY2018 and FY2019 as provided by the Centers for Medicare and Medicaid Services. It is important to keep in mind that these are base rates and every county has a unique and different rate based on the cost of living; New York City costs will be much higher than cities like St. Louis or Cincinnati. Additionally, the FY2018 cap was $28,689.04, while the FY2019 cap ending on Sept. 30, 2019, is $29,205.44. These are the base rates which vary according to the economic multiplier used for different parts of the country as well as rural vs. urban communities. They are quoted for providers who have submitted the required data. 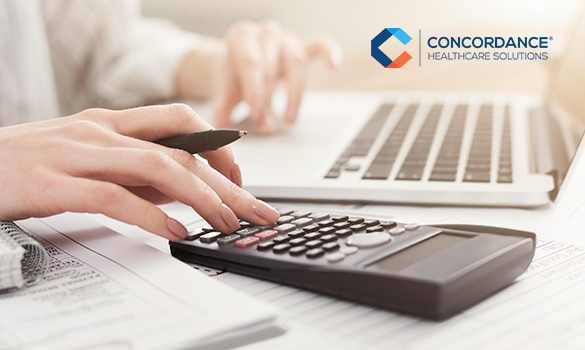 Click here for more detailed information on Medicare costs. 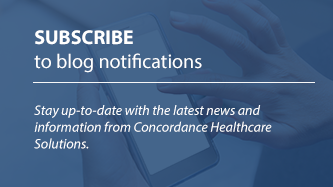 Concordance hospice experts pay close attention to the ever-changing cost of care, reimbursement and industry trends. One trend has patients approaching the hospice threshold, from nursing homes or assisted living facilities, taking advantage of chronic care management programs, palliative care and programs for all-inclusive care for the elderly. Palliative care reimbursement is less expensive and accompanied by visits from physicians or nurse practitioners and can be a considerably less expensive alternative for patients who aren’t quite ready for hospice services. Concordance Healthcare Solutions provides everyday supplies and innovative tools to hospice professionals to help address unique and specific challenges. Learn more about our solutions that address the rising costs of providing hospice care.